Here at Schoonover, we are constantly trying to meet the needs of our Research and Development customers. 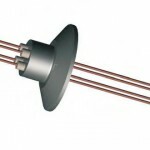 By connecting these customers directly with the factory, we are able to offer R&D Discounts that can only be found with Schoonover. Other online sites sell at list price or above, where with Schoonover you get the Factory discounts beyond list price! The University and Research field is a fast paced field with constant needs. To better serve these needs, we are available through the chat bar at the bottom right of the screen for quick responses to price and lead time questions as well as technical assistance. We are also available at the contact info at the bottom of the page. Take advantage of these features and let us know how we can help you. 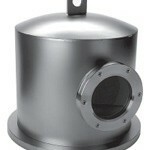 See the latest Fall Sale from Oerlikon Leybold. 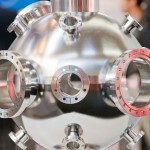 In the field of R&D, low price and high quality equipment is always in need. Many researchers turn to the online super stores for “the best” prices, but do not realize there are much better prices available from the Factories themselves. Schoonover is the contracted representative of these factories. With the factory R&D discount and low prices, you can start saving with Schoonover. Click on the link for a price comparison table with some of the largest Online Vacuum Retailers. Special promotional pricing on the new Phoenix 300i Helium Leak Detector, now with the optional IPad Display. This promotion is for the Phoenix L300i for $19,995 or add an accessory for $20,600. 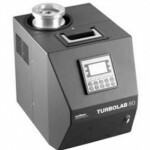 Special pricing on Turbolab 80 Systems. These turbo pump systems incorporate a dry diaphragm pump for backing the turbo pump. You can display a vacuum gauge connected to the system through the display on the Turbolab 80. 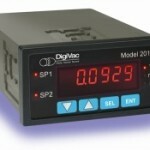 This saves money by not having to supply a dedicated gauge display. 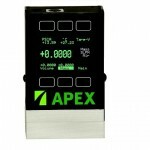 Apex Mass Flow Meters and Controllers – Get free shipping along with a 10% discount. 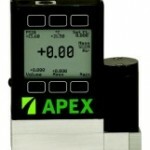 Our Apex line of flow controllers and meters have an on-board 30 gas library which allows the user to switch between gases and still be in calibration. Our on-board display and computer software means that no expensive power supply/display boxes are required that saves even more money. Hey Everyone! I want to introduce myself. My name is Blake Johnson. I have over 4 years of R&D experience as both a researcher and a lab technician at the University of Georgia in Athens, Georgia and Nanjing Agricultural University in Nanjing, China. As your University Specialist, I want to bring an experience where your projects and problems will not only be solved, but constantly supported. I understand the stresses of the University Grants and budgeting process as well as life as a researcher and will do everything I can to make those stresses easier. I am available through many channels of communication. Don’t hesitate to use the number and email to the right to email, text, and call if I can ever be of assistance. You can also get immediate help through the chat bar at the bottom right (just ask for Blake). Also follow Schoonover on Facebook, Google+, LinkedIn and Twitter for intriguing Vacuum articles, ground breaking research, and updates on your current Schoonover deals. If you have an issue that needs to be seen by someone, I am also available for video chat through FaceTime and Skype to take a quick look and help you solve the problem quick and painlessly. Vacuum Technology Reference Guide- Feel free to download and use in research papers. We love links back to us, so please cite us in your papers and websites!